The Department of Grounds and General Maintenance is comprised of 8 maintenance shops. Each shop is responsible for the day to day maintenance of their specified area. The Sports Turf department handles all outdoor sports venues including EKU athletics, Campus Recreation fields and Model athletics. Horticulture department maintains Carloftis Garden, Turner Gate and the Chestnut and campus orchards. This team also does all the flora plantings throughout campus. The MSW and Recycle team manages waste services and handles the recycling efforts for all University buildings. 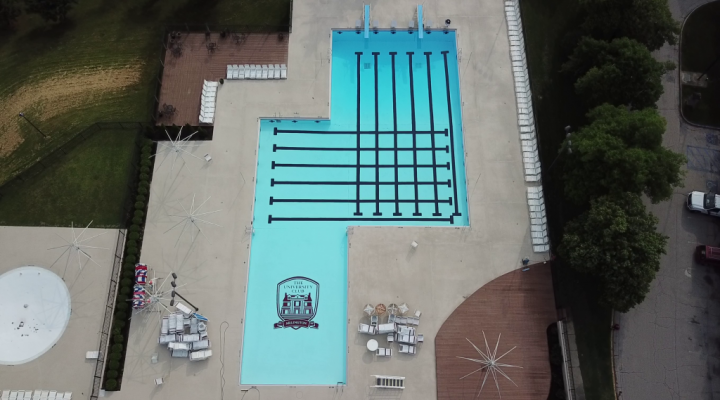 The Pool team keeps Arlington, Alumni, Grand Campus and Moberly pools in working order. This group also maintains the fountains on campus. Pest Control answers all calls pertaining to nuisances’ on campus. The Mold Abatement squad assists with air quality and the removal of surface mold in residence hall and buildings. The Relocation department reacts to all work orders dealing with office/classroom moves, event set-ups/tear-downs and the moving of surplus inventory. University vehicles are serviced and maintained by Fleet Services. The Grounds And General Maintenance division assists as the University’s liaison between Aramark Cleaning and Grounds Services. Q. Who do we contact for custodial service needs? A. Aramark Cleaning and Grounds Services should be contacted for all custodial needs. The Aramark main office phone number is 859-622-5069. EKU Facilities Services will be available to coordinate efforts and pass information to Aramark. For emergencies after normal working hours, you may call EKU Emergency Maintenance at: 859-622-2966.